Is India willing to compete on level ground? China entering a new era! Is noise pollution harmful than air pollution? Know your teens are addict or not? Beijing: Sandwiched between economic, military and geographic giants India in the south, east, and west and China in the north, tiny Nepal was eclipsed to the outside world until Nepal was admitted to the United Nations in 1955. Since then, India has long exerted an influence on Nepal shaping and guiding it as one of the world’s poorest countries by drafting it to rely heavily on imports from India and constraining on its ports for sea access. 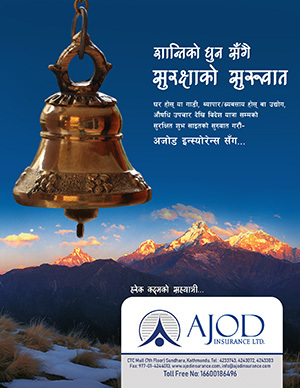 Subsequently, corrupting and pressuring the political leaders of the landlocked nation to stay away from joining the initiatives from the other neighboring country, despite Nepal being a sovereign country. However, the alternative Nepal had several decades ago is now changing with the rise of China. Having served as a buffer between India and China for several decades, Nepal is now looking forward to playing host to a geopolitical competition between the world’s fastest-growing powers by ignoring India’s sphere of influence and joining China’s “Belt and Road Initiative (BRI)”. Also, the present Left-coalition government is seen far more towards China than the previous Nepali Congress government. Perhaps in any given scenario the best case for Nepal is to have a strong relationship with both India and China but Nepal hasn’t forgotten the economic blockade the Indian government used as a weapon for coercion during the constitution crisis in 2015, just months after Nepal was hit by a devastating earthquake. For many decades now, India’s behaviour towards Nepal and its neighbours have always been based on strong arms tactics, intimidation, threats, lies, jealousy, inelegant policy and broken promises. As a result, India has created a bad reputation of trustworthiness and has successfully driven its neighbours to seek for an alternative that besets in the rise of China, who walks the talk and unlike India, has always been a stable and steady friend in fair and foul weather. India has been largely unsuccessful in its quest for regional primacy, despite its strong cultural influence throughout the region. Countries such as Pakistan, Sri Lanka, Bangladesh and Maldives have all manage to maneuver between India and an external power, most recently China. Only the smaller states of Bhutan, Mauritius and the Seychelles have been under India’s shadow but might also be slowly slipping away from India’s grip. If only the intimidations, jealousy and lies could have solved the problems of Nepal, Sikkim, Bhutan, Burma, Bangladesh, Maldives, Sri Lanka, Seychelles, Pakistan etc. India would be the number one country in the world. But no, India isn’t! What’s changed is the opportunity India’s neighbours have with the rise of China which several decades ago was poorer than India and had little capacity to help India’s neighbours.Today, corrupt culture is more deeply entrenched in India than in China. India’s most recent ranking in the corruption perception index has slid to 81, as opposed to China’s 77. But once and for all, now it’s about time for Nepal to transform itself from being a self pitying land-locked to land-linked country. 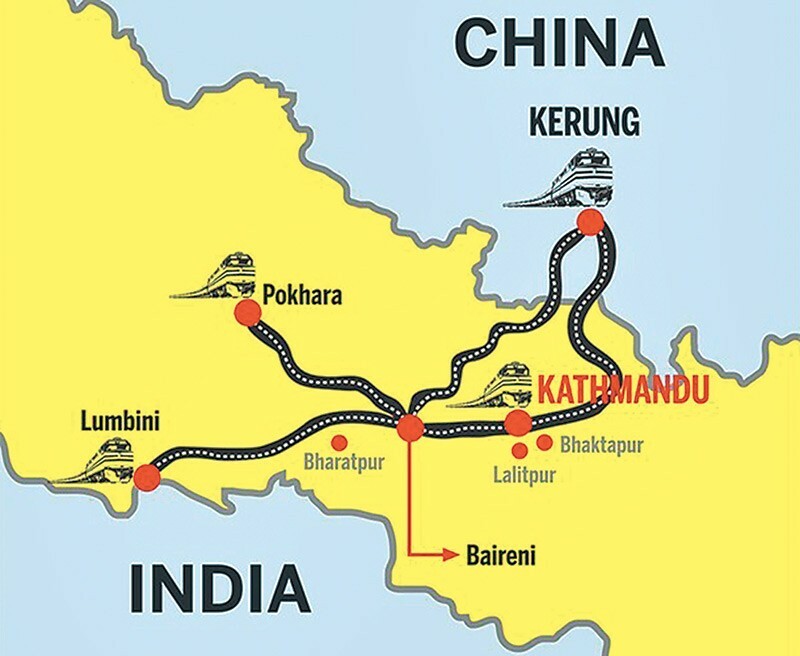 No doubt, Nepal cannot alter its geography or its history, but under BRI, Nepal definitelyhas a significant opportunity to benefit and affiliate with the economic potentials offered by China in the days aheadand appear as a golden bridge between China and South Asia.Considering its geo-political and geo-economic situation Nepal can play a crucial role as a transit route for China to penetrate into South Asia, including India andbring in the benefits from the development of the transport infrastructure. Similarly, growth of industrial enterprises is free from doubtto assiststimulate national economy. Nepal-China relations will elevate to the next level not only from the economic point of view, but also from the cultural and religious aspects.China for sure won’t be as stupid as India and let Nepal fall into the only hands of India again. With its principle of non-intervention in bilateral relationships China is also positively aware that it can only prosper if its partners and neighbours prosper and for thatChina is willing to invest in these countries not just because they can but there is a huge need for it and only China but anyone else can do it. However, we should not forget that BRI for Nepal is more important than it is for China. Under BRI framework, Nepal will not only have rail links with China but with other neighbours like India, Bangladesh and Bhutan as well, making it a land-linked country. Along with the right infrastructure, Nepal has the potential to generate massive amount of hydropower for its fast-growing neighbors, via its mega-rivers and Chinahas the resources to build those infrastructures. Bright side of the situation,Nepal has slowly been increasing exchanges with Beijing in recent years as it has sought to counterbalance India’s dominance in the region understanding the fact that China is not a threat and its expansion of influence comes naturally with its economic scale. And India, it’s about time to forget self-proclaimed big brother status of South Asia, and focus your resources to get your infrastructure up and get your people out of poverty.